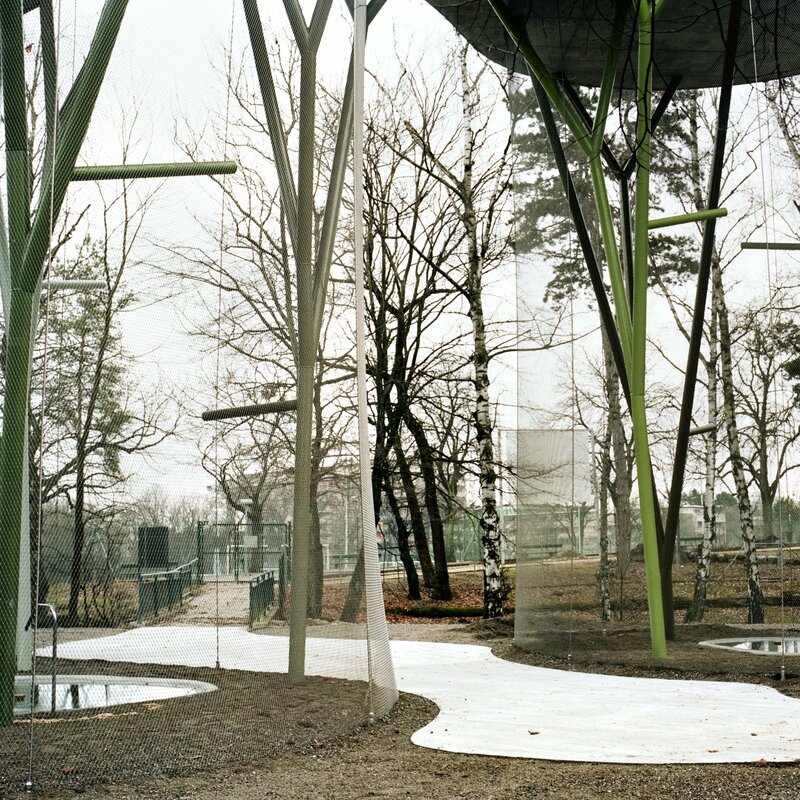 The new aviary at Bois de la Bâtie, a leisure area located on a natural promontory and highly appreciated by Geneva’s inhabitants, is installed at the boundary of the zoo and next to the pond. 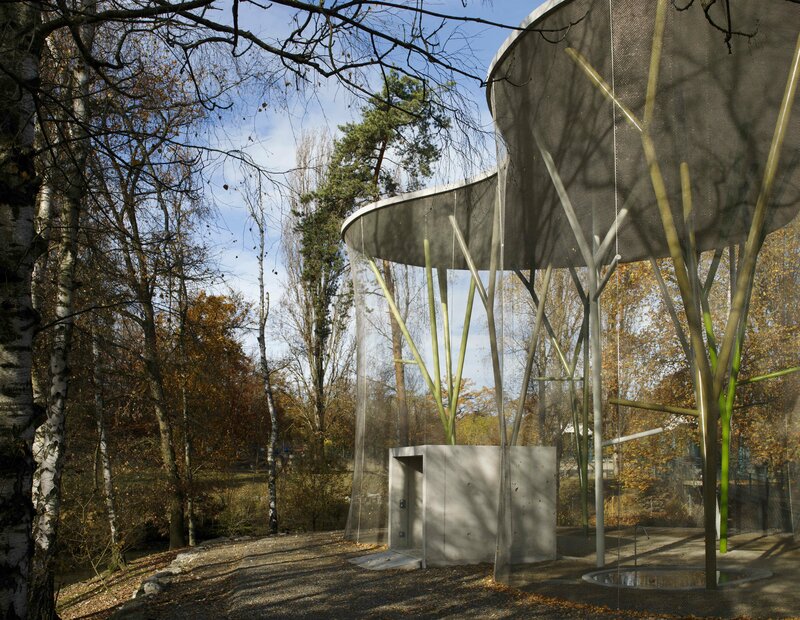 It is specifically designed to form a close relationship with the natural environment where it stands. 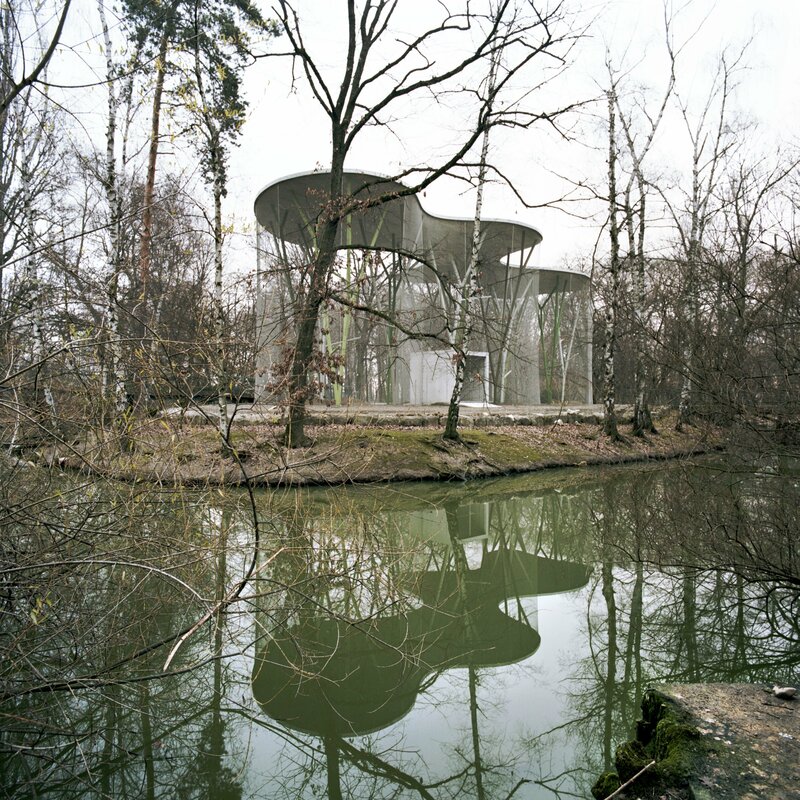 The plan for this aviary, which is intended to be almost invisible, uses architectural structures and forms little used in contemporary creations: a concrete roof with curves in the horizontal plane, pillars in the form of trees and shutters in stainless steel designed to resemble the curtains of a theatre. 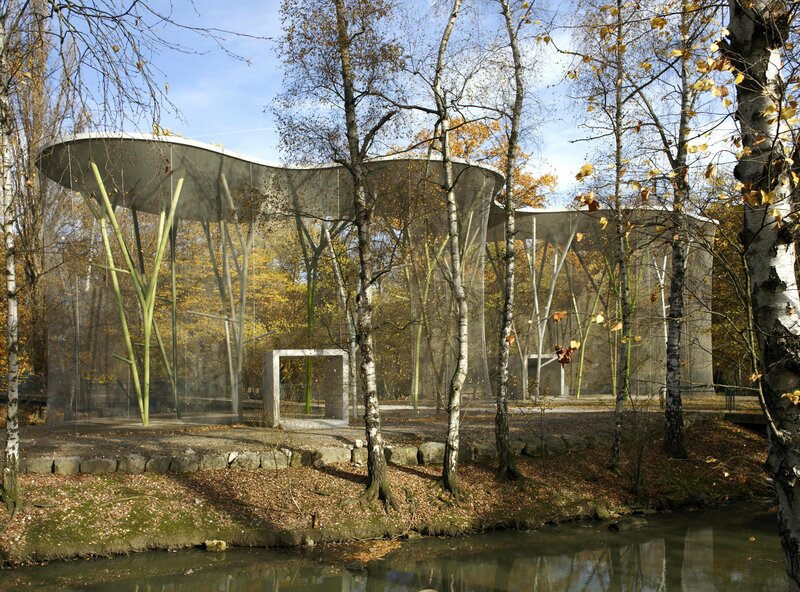 In addition to its form, the interest of this aviary resides in the synthesis of fruitful cooperation between the architects and civil engineers. 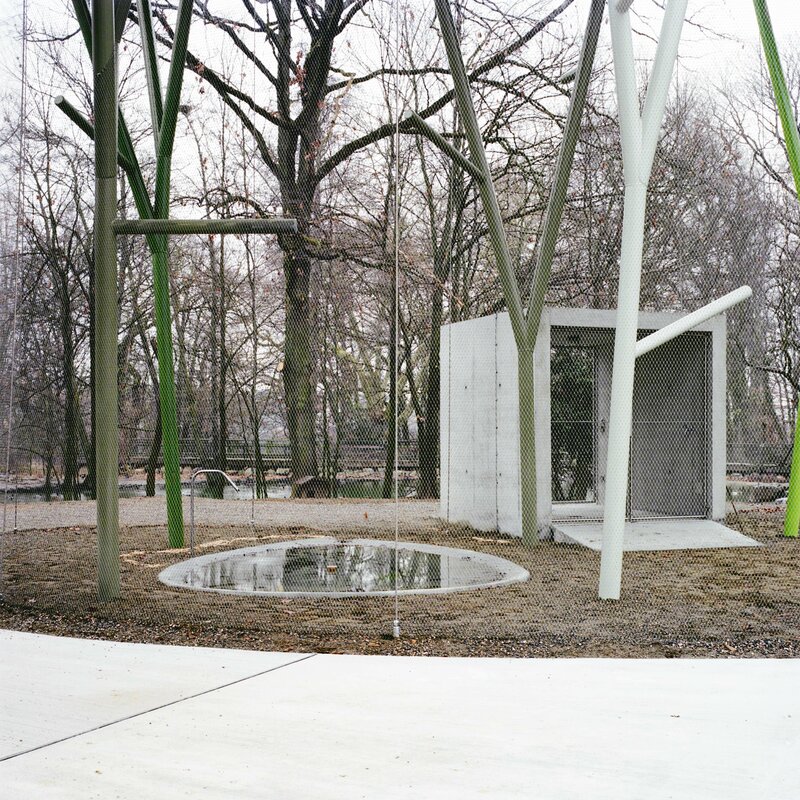 Indeed, there were many versions of the developed “bearing trunks” in terms of shapes – the one retained consists in imitating the geometric form of the trees actually present on the site before the construction – and in terms of static calculations, a scale model being used to test it all. 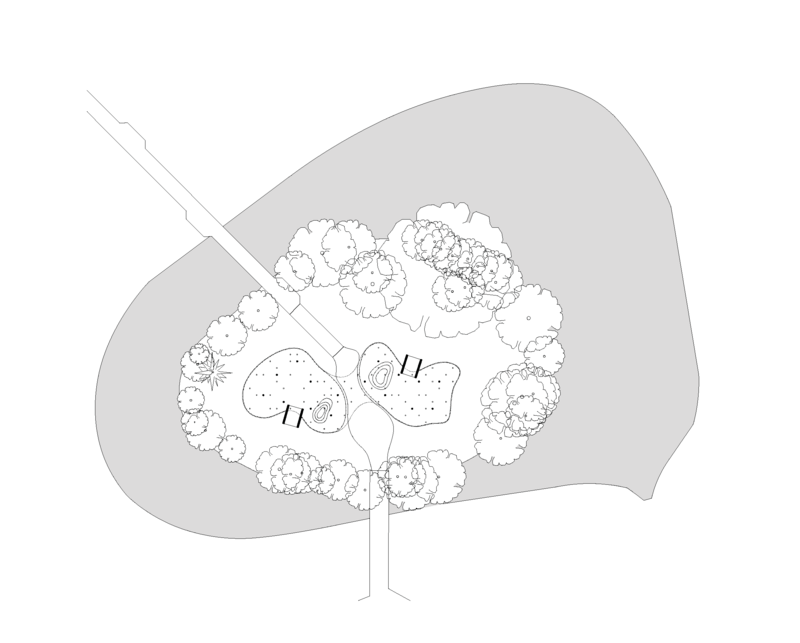 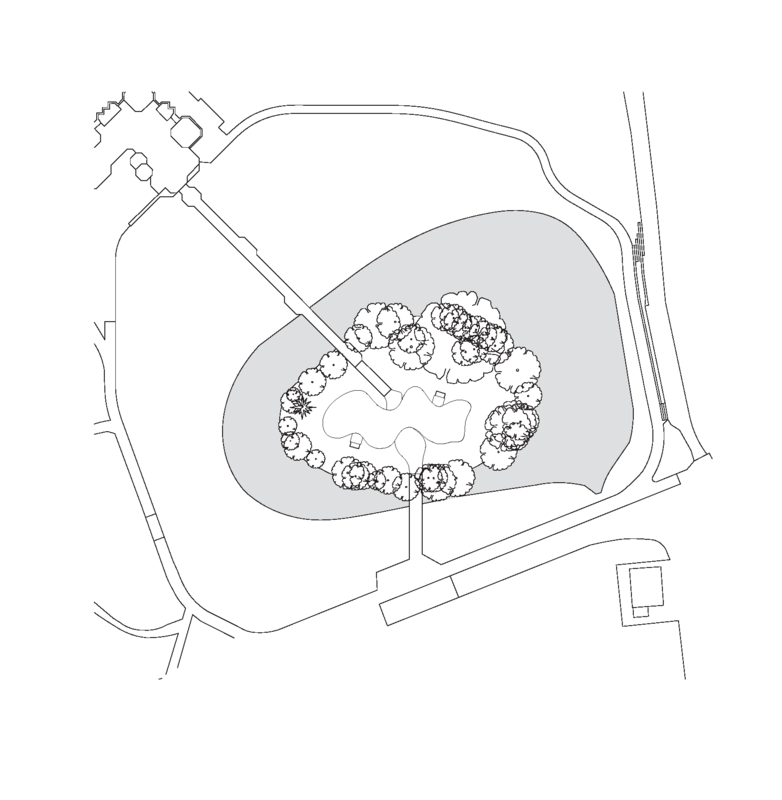 The choice of the structures’ colour confirms the architects’ intention to place their project in an “organic and metaphoric” relationship in the small clearing that it occupies bordering water.